Opening hours: Banks: Mon-Fri 9:30am-4:30pm, extended hours including weekends at some locations. 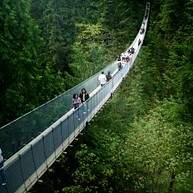 Walk the suspension bridge 85 meters above the Capilano River where millions of visitors have come to seek adventure. The bridge was originally built in 1889 and stretches almost 140 meters across, through lush green surroundings. But the bridge is not the only thing to see and do in the area, as there are tons of trails to explore. 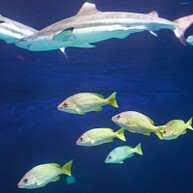 Vancouver Aquarium Marine Science Centre is home to 60.000 animals and represents 800 species of aquatic life. "As a self-supporting, non-profit association, the Aquarium is dedicated to effecting the conservation of aquatic life through display and interpretation, education, research and direct action." Step out of your daily life and into this beautiful garden as your heart and mind relax and you renew your energy. 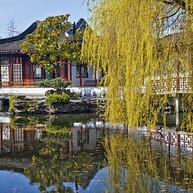 Journey back in time to 15th Century China and enjoy this “window to another world”, named "World Top City Garden" by National Geographic. 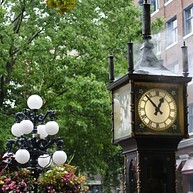 Gastown is the oldest neighbourhood in the city, and every quarter hour, steam pours out the top of the Gastown Steam Clock and whistle chimes can be heard. 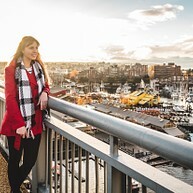 Gastown is an eclectic mix of contemporary fashion boutiques, tourist-oriented businesses (generally restricted to Water Street), restaurants and nightclubs. Gastown also hosts numerous annual events and festivals, such as the Vancouver International Jazz Festival and the Global Relay Gastown Grand Prix international bicycle race. Ride to the Observation Deck 177 meters above the city for a breathtaking 360-degree view of Vancouver. The elevator ride to get up to such heights is a thrill, and once you're there you can partake in an interesting and informative guided tour. Science World provides interactive exhibits and unique presentations of the wonders of science and technology for all ages. Knowledge is what keeps this business going as it is operated by a non-profit organization. Canada Place is a building that houses the Vancouver Convention Centre, the Pan Pacific Hotel and Vancouver’s World Trade Centre. Stroll the Promenade, enjoy live music and picturesque views of the harbour and feel the pulse of the city in this important centre of urban life. 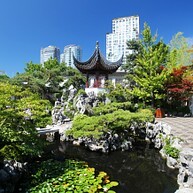 A green oasis in the middle of the thick urban landscape, the beautiful island-park of Stanley Park spans 400 hectares. It is home to kilometres of trails, beautiful beaches and numerous landmarks, and it is without a doubt one of the most beloved spots in the city for locals. Step through the Millennium Gate for unique entertainment, dining, shopping and history in Vancouver's Chinatown. Chinese immigrants first settled here between 1890-1920, and the community has greatly grown over the years. 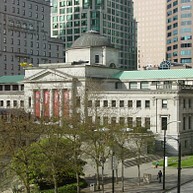 Located right in downtown Vancouver, the Vancouver Art Gallery is the largest art museum in Western Canada, featuring thousands of pieces, both from history's greats and from modern, cutting-edge artists. The Gallery Cafe makes for a pleasant break between exhibitions, and the Gallery Store offers wonderful mementos and gifts. Granville is an island in the middle of the city, a centre for dining, the arts and shopping, and home of the famous Granville Island fresh food market. No visit to Vancouver is complete without a day spent meandering around the island and taking in everything it has to offer. Just 15 minutes from downtown Vancouver, Grouse Mountain is a skiing haven for local enthusiasts. 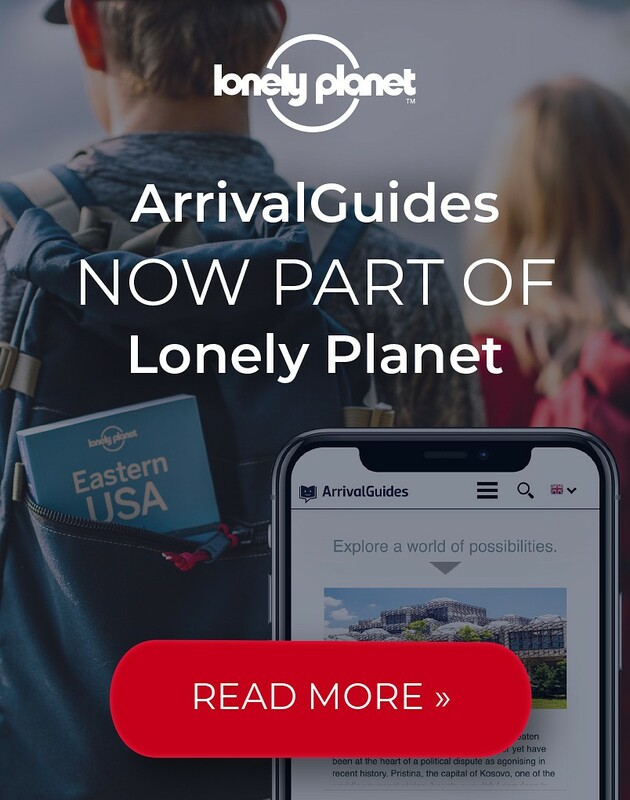 The resort offers all manner of activities and entertainment, including cultural, educational and outdoor adventures for all ages and all seasons. You will find bays everywhere you turn in Vancouver. 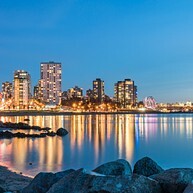 Whether you're looking for a stretch of sand to spread out and relax with a good book or an outdoor volleyball court, you're sure to find it in Vancouver. 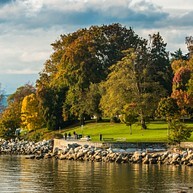 English Bay is a beautiful, vibrant beach that comes alive when it's sunny and warm with various activities such as scuba diving, kayaking and more. 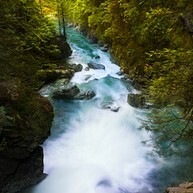 Lynn Canyon Park has been a popular destination among tourists and local residents of Lynn Valley ever since it first opened in 1912, and is a great location for a day out in the open, with several great places to relax. There are also many popular swimming holes that are perfect for a refreshing swim during the summer months, as well as breathtaking waterfalls. The Museum of Anthropology on the campus of the University of British Columbia, is home to an incredible collection of artifacts and art from around the world, including weavings, carvings and even contemporary artworks. 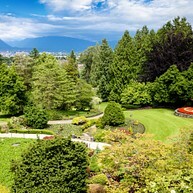 Queen Elizabeth Park is located in Little Mountain, the highest point in Vancouver. It was once a rock quarry, but has been converted into a lush, lovely city park, complete with gardens, hills, public art and great views of the city.